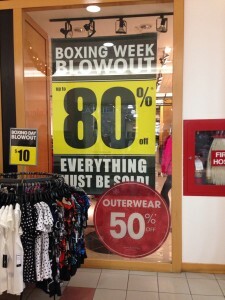 Boxing Week Blowout at Fairweather! So don't hesitate and get into Fairweather for their Boxing Day sales! These sales are in store only. Enjoy!